Vacation Bible School! VBS will be led by camp counselors from Rainbow Trail Lutheran Camp in Hillside, Colorado and supported by many church volunteers. A morning snack will be provided by the church. Campers should bring a sack lunch except Friday. Sunscreen, if you use something special, labeled with your child’s name. The church will have sunscreen available. We will have a “show” on Thursday night (August 1st at 6:00p) to show friends and family all the fun things the kids have done all week. The show will be followed by an ice cream social. YUM! 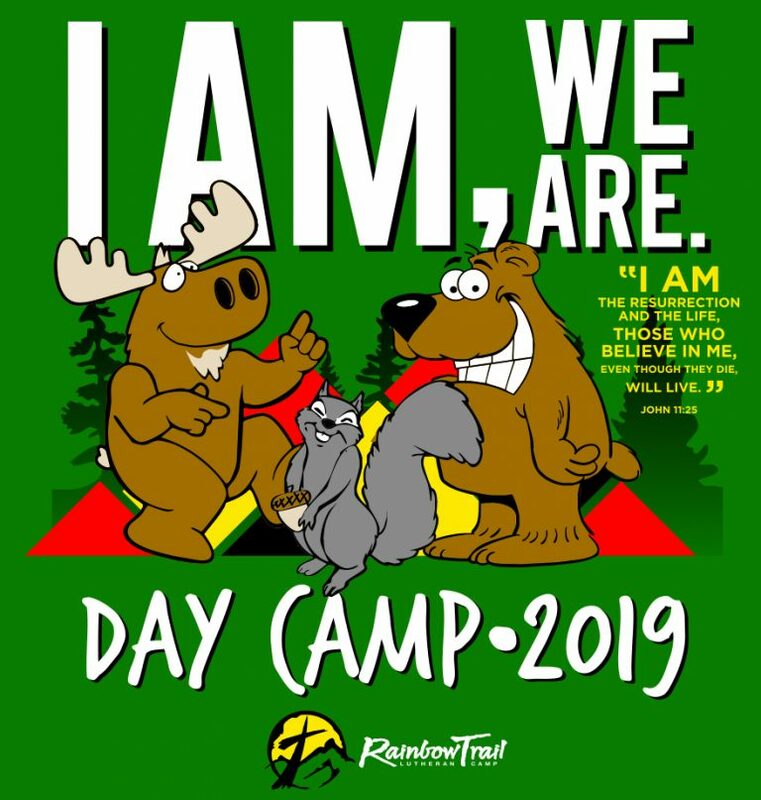 Personal​ ​information​ ​will​ ​not​ ​be​ ​shared​ ​with​ ​organizations other​ ​than​ ​church​ ​and​ ​camp.​ ​​ ​You​ ​will​ ​not​ ​receive​ ​mailings​ ​from​ ​Rainbow Trail Lutheran Camp (RTLC​) ​based​ ​on​ ​information​ ​shared​ ​here unless​ ​you​ ​check​ ​that​ ​you​ ​would​ ​like​ ​to​ ​below. Please include their names and the grade they will enter in the fall. Please list an alternative contact in case the primary parent / guardian cannot be reached. My ​child​ ​has​ ​permission​ ​to​ ​take​ ​part​ ​in​ ​all​ ​Day​ ​Camp​ ​activities​ ​led​ ​by​ ​Rainbow​ ​Trail​ ​Lutheran​ ​Camp (Camp)​ ​and​ ​the​ ​hosting​ ​congregation​ ​(Church).​ ​We​ ​agree​ ​that​ ​the​ ​Camp,​ ​Church,​ ​and​ ​their​ ​personnel will​ ​not​ ​be​ ​held​ ​responsible​ ​for​ ​accidents​ ​arising​ ​therefrom.​ ​I​ ​give​ ​Camp​ ​and​ ​Church​ ​personnel permission​ ​to​ ​seek​ ​medical​ ​treatment​ ​for​ ​my​ ​child​ ​in​ ​case​ ​of​ ​injury​ ​or​ ​illness.​ ​I​ ​also​ ​given​ ​permission for​ ​photos,​ ​video,​ ​and​ ​electronic​ ​images​ ​to​ ​be​ ​taken​ ​of​ ​me​ ​or​ ​my​ ​child​ ​and​ ​used​ ​for​ ​by​ ​the​ ​Camp​ ​or Church​ ​for​ ​promotional​ ​purposes​ ​without​ ​compensation,​ ​inspection​ ​or​ ​approval. Yes​, ​I​ ​would​ ​like​ ​to​ ​receive​ ​information​ ​about​ ​Rainbow​ ​Trail​ ​Lutheran​ ​Camp’s​ ​Programs!